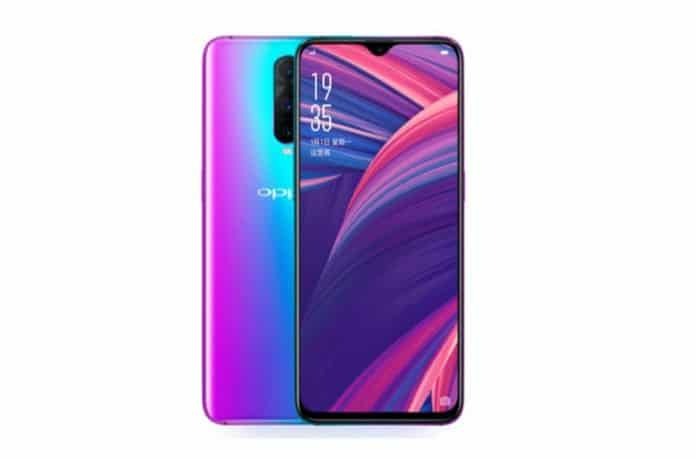 OPPO Ne China Mein Apna Premium Smartphone R17 Pro Launch Kar Diya Hai. 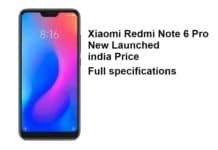 Ye Smartphone Pichle Kafi Samay se Rumors Mein Tha Aur Aaj is 4299 Yuan (Approx. 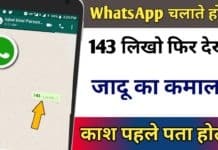 44,000 INR) ki kismat Par Announce Kiya Gaya Hai. Triple Rear Camera ke Saath Launch Hone wala R17 Pro ki Sale China Mein October Mein Start Hogi. OPPO R17 Pro Mein 6.4-inch ki FHD+ 19:9 display di gayi hai. Saath Hi ye Pehle Smartphone Hai Jo Corning Gorilla Glass 6 protection ke Saath Aaya Hai. Ise Power Dene ke Liye main Octa Core Snapdragon 710 Processor Moujood Hai Aur Saath Hi Adreno 616 GPU bhi hai. Ismein 8GB ki RAM Aur 128GB ki Native Storage. Halaanki microSD card slot missing Hai, too Memory expansion ka options Aapko Nahi Milta Hai. Iska Kewal yeek hi storage option Release Kiya Gaya Hai. OPPO R17 Pro Mein 12 MP ka Primary Rear camera Hai jo LED Flash Light Aur Samsung S9+ ki Tarah variable Aperture (f/2.4 – 1.5) ke Saath Aata Hai. Iska 20 MP Secondary Rear camera f/2.6 Aperture Aur TOF 3D camera Jaise Features ke Saath fit Kiya Gaya Hai, jo image ki depth informs ko capture, Karta Hai. 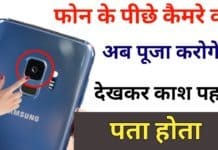 Ismein Third Rear camera- Time of Flight (TOF) 3D Sensing camera Bhi Moujood Hai jiski nanosecond infrared Light measurement ke Dwara Aap 3D Depth information click Kar Sakte Hain. Is camera se Aap 3D images Click Kar Sakte Hain. 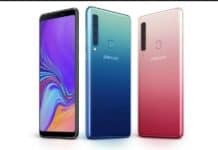 Iske Alawa is handset ka Front camera India Mein Launch Huye OPPO F9 Pro JAISA HI HAI – 25 MP, JO ki f/2.0 APERTURE, AI, SONY IMX576 SENSOR AUR 3D Portrait Features ke Saath Moujood Hai. Ismein Bhi Aapko in-Display Fingerprint Scanner Diya Gaya Hai jo 0.41 seconds Mein Phone ko unlock karta hai. OPPO R17 Pro ki Battery Capacity 3700mAh Hai Jo VOOC Fast Charging Support ke Saath Aayegi. Sath Hi is technology se ye Smartphone Kewal 10 minutes Mein 40% Tak charge Ho Jata Hai. Ye Smartphone Android 8.1 Oreo ke Saath ColorOS 5.2 custom UI Par Chalta Hai Aur main Android P kab Tak Aayega, take bare Mein company ne Abhi Kuch Nahi Kaha Hai. of newest and earlier technologies, it’s awesome article.